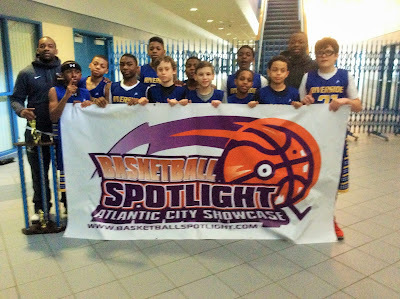 BASKETBALL SPOTLIGHT NEWS: AC Showcase Shep Garner Division 6th Grade Championship: Riverside Hawks Spread Their Wings! AC Showcase Shep Garner Division 6th Grade Championship: Riverside Hawks Spread Their Wings! Riverside Hawks came to play as they rolled past Chester Select 52-32 to win the Basketball Spotlight AC Showcase Shep Garner 6th Grade Championship. Basketball Spotlight would like to congratulate both teams for making it to the finals of this event. Stay tuned as we bring you more coverage from this big weekend in Atlantic City.